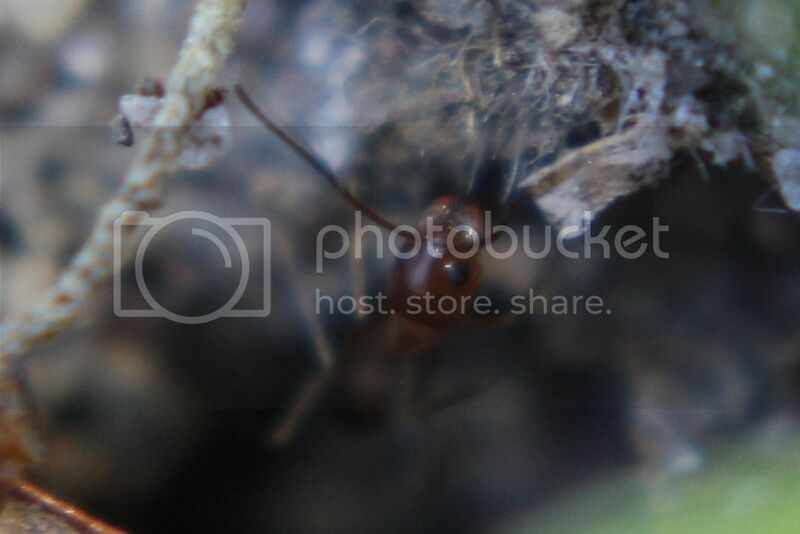 In my yard there are two ant species that have nests everywhere, but I don't know what they are. This is the first species. They are yellow/orange in color and can sometimes have a darker or lighter yellow abdomen. They are about 2-3 mm long and are really fast. They almost seemed like crazy ants but I think their heads are too big to be those. I frequently see them foraging around Solenopsis Invicta colonies or other colonies. The second unknown species look a lot like black crazy ants, but again, these ants heads look different than crazy ants. After taking closeup pictures of them with my macro lens, in some pictures I could easily see lots of hairs on these ants. They seem to be very shy, not showing any aggression towards me. They are a shiny black or dark brown color and 2-3 mm long. Awesome pictures! First ones look like Dorymyrmex flavus to me. I think the second species could be Dorymyrmex insanus. Was that major from the other two colonies? Seems like a random Pheidole major to me . I'm from the north so I am no expert on these species, that is just how they appear to me. Good luck and Welcome! WillWithAnts wrote: Awesome pictures! First ones look like Dorymyrmex flavus to me. I think the second species could be Dorymyrmex insanus. Was that major from the other two colonies? 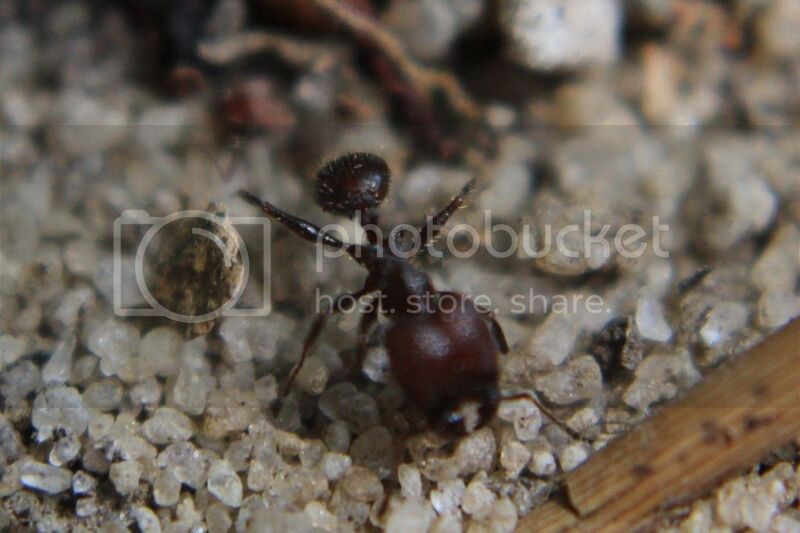 Seems like a random Pheidole major to me . I'm from the north so I am no expert on these species, that is just how they appear to me. Good luck and Welcome! I googled both the species and the ones you suggested are the correct species without a doubt! 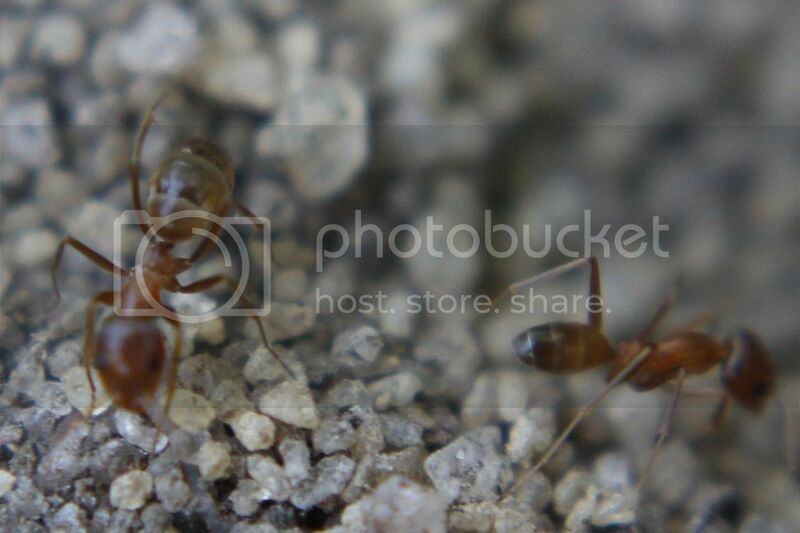 I took pictures of the black ants from 2 different colonies, but both of the colonies' majors look exactly the same. Thanks so much, I was dying to know what species they were! 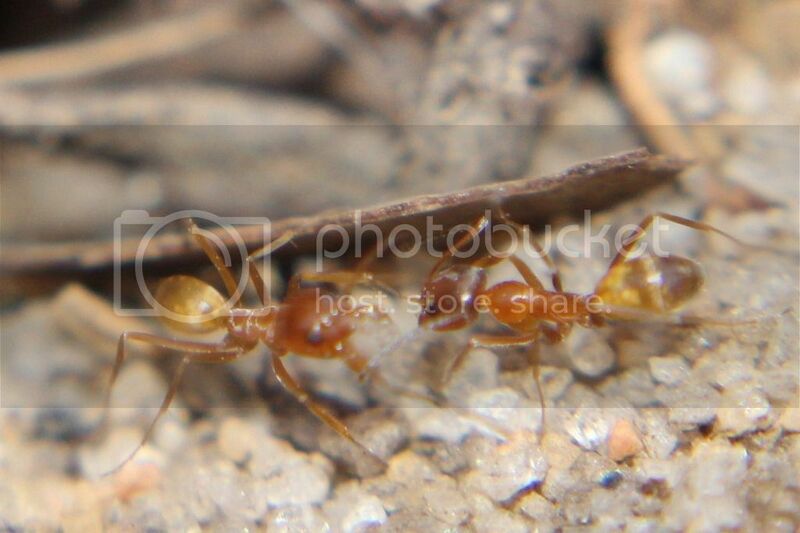 I honesty thought no one would be able to identify them since I couldn't find ants that look really similar to them on the web. Are you keeping anything right now? Um, no the first species is an Iridomyrmex sp. and the second species is a Pheidole sp. Mdrogun wrote: Um, no the first species is an Iridomyrmex sp. and the second species is a Pheidole sp. Does Iridomyrmex sp. live in the US? The second one could be Pheidole sp. or Dorymyrmex Insanus, they both look similar. I think the original ID of Dorymyrmex flavus for the top species might be right. Sorry, for some reason I assumed you lived in Australia. I currently have 3 queens in test tubes waiting for their eggs to hatch. 2 Solenopsis Invicta and 1 unknown tiny queen. 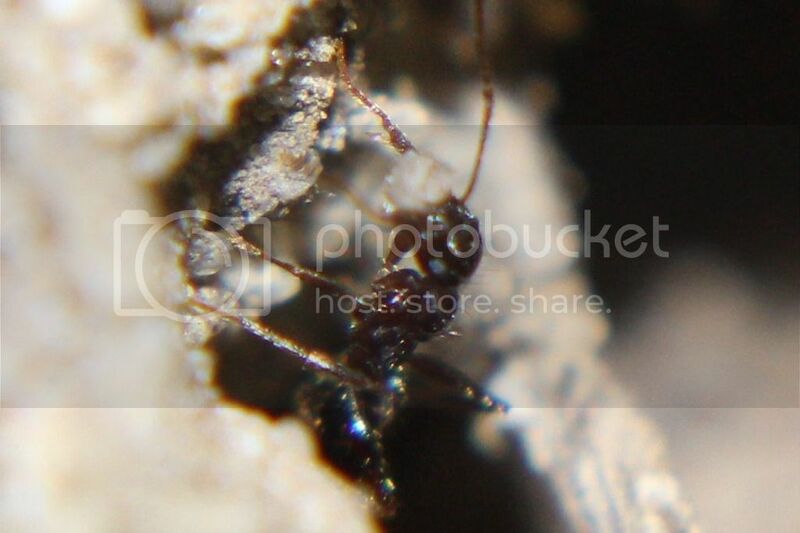 I found another unknown ant species and I posted about it. I'm almost certain they are leaf cutter ants. Probably. According to Antwiki.org, the species is established in Escambia (the county I live in), Santa Rosa, Fort Walton, and Okaloosa. Apparently the only states the species lives in North America is Florida, Alabama, and Mississippi.